'Limonade xes war alles so grenzenlos.' was one of Franz Kafka's last sentences in his Aus den Gesprächsblättern published in Briefe 1902–1924. Hélène Cixous, who repeatedly wrote about this sentence, translated it as 'Limonade xtout était si infini.'. This is translated in the english version of the Hélène Cixous Reader as 'Lemonade xeverything was so infinite'. Cixous's translation of Kafka's sentence 'Lemonade xeverything was so infinite.' 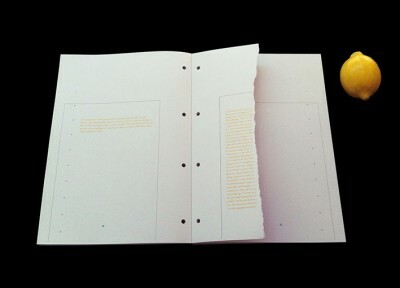 forms the basis of a series of seven titles written by seven different writers / artists – David Berridge, Julia Calver, Emma Cocker, Rachel Lois Clapham, Marit Münzberg, Tamarin Norwood and Mary Paterson. 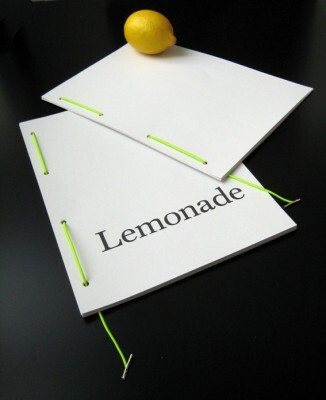 Each title explores one of the seven segments of this sentence – 'Lemonade', 'x', 'everything', 'was', 'so', 'infinite', '.'. A bound set of all publications of Lemonade xeverything was so infinite. can be purchased from selected bookshops or online here (including £3.00 postage and packaging UK only). If you are ordering from outside of the UK please contact us so we can find out the exact postage for your country. Copies of Lemonade by David Berridge can be purchased from selected bookshops or online here (including £2.00 postage and packaging UK only). If you are ordering from outside of the UK please contact us so we can find out the exact postage for your country. With resounding retroactive force his pause brings the object to speech. Here is writing invested in this moment. Copies of by Julia Calver can be purchased from selected bookshops or online here (including £2.00 postage and packaging UK only). If you are ordering from outside of the UK please contact us so we can find out the exact postage for your country. 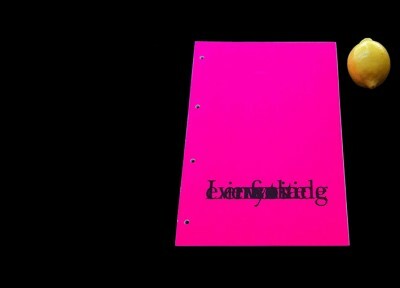 Copies of everything by Marit Münzberg can be purchased from selected bookshops or online here (including £2.00 postage and packaging UK only). If you are ordering from outside of the UK please contact us so we can find out the exact postage for your country. Copies of was by Tamarin Norwood can be purchased from selected bookshops or online here (including £2.00 postage and packaging UK only). If you are ordering from outside of the UK please contact us so we can find out the exact postage for your country. So. It is a turning point. So it lies in waiting, so it mediates between other people’s stories. So it asserts the character of reading. So it lets slip words, letters, so the order of things. So it infiltrates the marks of the translator. So it turns its sad head slowly. So it starts in the middle. Copies of so by Mary Paterson can be purchased from selected bookshops or online here (including £2.00 postage and packaging UK only). If you are ordering from outside of the UK please contact us so we can find out the exact postage for your country. There are thousands of books in the British Library whose title refers to the act of searching. There are at least as many books referring to loss. The infinite cycle of searching and losing, losing and searching, might be conceived from two different perspectives: (from left-to-right) in Sisyphean terms, akin to the rolling of a rock to the top of the hill only to roll back down again, or else (from right-to-left) as a model of Penelopian labour, like the endless unraveling of a weave such that by morning the task can begin afresh. Copies of infinite by Emma Cocker can be purchased from selected bookshops or online here (including £2.00 postage and packaging UK only). If you are ordering from outside of the UK please contact us so we can find out the exact postage for your country. This publication addresses the poetics of the full stop; the fullness and potential of a full stop in relation to its succinct, indivisible and final nature, and the particular choreography it lends to a text (especially Kafka's text) as breath, abbreviation, prompt or literally 'it'. 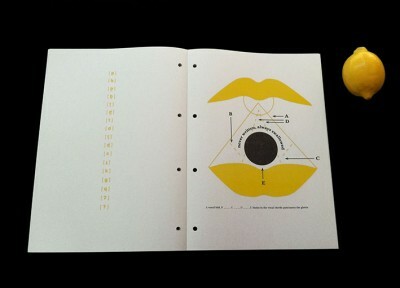 The text includes a series of painterly full-page punctuation works. Copies of . by Rachel Lois Clapham can be purchased from selected bookshops or online here (including £2.00 postage and packaging UK only). If you are ordering from outside of the UK please contact us so we can find out the exact postage for your country.